for $110,000 with 2 bedrooms and 1 full bath. This 624 square foot home was built in 1982 on a lot size of 9.5600 Acre(s). Get back to nature! 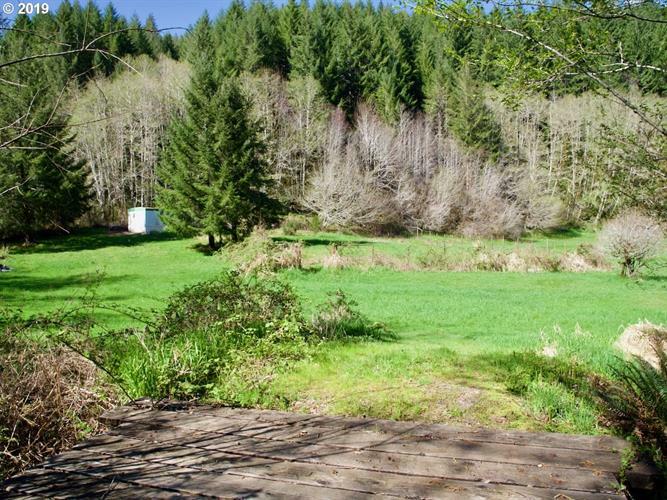 Leave worries behind as you drive past rolling pastures and the undulating North Fork of the Siuslaw River. You are off the grid, in a peaceful field with the river and wildlife for company...and that probably does not phase you at all, right? Make it your own: septic in place, spring water available, paved driveway, sturdy bridge, and possibilities abound! Manufactured home has no value. 9949 UPPER North Fork Road.